“Summons to the archbishop of Canterbury to attend the Parliament which is to meet at Westminster, 8 June; and to warn the prior and chapter of his cathedral and the clergy of his province to be present, the former in person and the latter by two proctors. Westm., 27 April 28 Hen. VIII. Although Anne Boleyn and the five men found guilty of adultery with her were all dead by the 8th June, these writs coming so soon after the setting up of the commissions of oyer and terminer suggests that Parliament was being called in order to deal with issues regarding the Queen, the King’s marriage and the succession. I notice that Chapuys refers to Anne as being Lutheran. Did Anne consider herself to be still a Catholic at the time of her death. I would think Anne did consider herself to be a Catholic. She is reputed to have said something about going to heaven because “I have done many good deeds in my day” (or words to that effect). The connection between good deeds and heaven is characteristic of Catholic belief, rather than the Lutheran idea of salvation only by faith. Thanks Esther. I think we sometimes assume that Henry VIII changed from the Catholic faith altogether, whereas he merely broke away from Rome but still considered himself Catholic. I think that we are inclined to forget that. Anne, I would say, had much more reformist views than Henry. Thank you for this post Claire! It makes me feel that Henry wants the “right” way to abandon Anne. They have the plan settled and then all the trial begins. Thats why I don’t think Anne’s flirt, harsh word or arrogance are the chief cause of her fall. 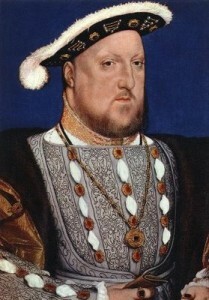 I’m wondering how long Henry has been planing for the disgrace of his second wife. But certainly he learned from the past.